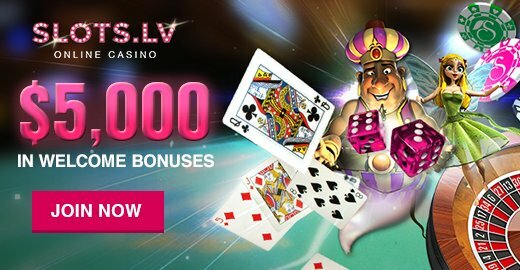 Every casino, whether traditional or online, offers a wide variety of games including slots, table games like roulette and blackjack, video poker, keno and more. Before you play any particular game, it’s worth your while to know the basics in terms of odds. Generally speaking, the more knowledge you start with, the more likely you are to preserve your bankroll and make the most of your gambling budget. Each casino game has its own odds. To illustrate the concept further and give you an idea of your winning odds while playing the different games a casino has to offer, we’ll be taking a closer look at roulette, video poker and slot machines as examples. There are a number of reasons that the classic game of roulette is so beloved and has persevered in popularity over hundreds of years. One reason the utter simplicity of the game and its payout system. First, you place a bet on the roulette tableau (layout). This bet can be an outside bet (e.g., odd/even or red/black) or an inside bet (e.g., on a specific number or small group of numbers). The little white ball spins around until it lands in a particular slot on the roulette wheel. If you’ve made a winning bet, you’ll receive your winnings according to a set payout table. Outside bets tend to be “safer” than inside bets, as you cover more numbers on the wheel. If you win with an outside bet, your payout will be significantly smaller. An inside bet is more of a long shot, as your guess needs to be more precise, but its payout is higher. To give an example of specific odds, let’s say the winning number is 7. There are a several bets you might have placed that are winners, all with different payouts. If you bet on red, odd or 1–18, you’d receive a payout of 1:1. If you bet in the single number 7, you’d get a whopping 35:1. At first glance, there seems to be no simpler casino game than slot machines, but with hundreds of different slot games, each individual one has its own paytable as well as payout percentage. “Paytable” refers to how many coins you’ll receive for any designated winning combination. Oftentimes, you’ll see that a machine pays out, for example, up to 5,000 or 10,000 coins (i.e., its top payout). Payout percentage refers to the “pre-programmed” amount (per hundred) that each machine must pay out. Usually, this percentage is in the 90–98% range, meaning that on average, for every hundred coins you play, you’ll win back anywhere from 90–98 coins back. “Loose” slots tend to have higher payout percentages. Video poker is another of the most popular casino games. This is a great example of a game where expert knowledge and play could earn you more winnings over the long run. Like slots, each video poker machine has a paytable. Traditional “Jacks or Better” video poker machines pay out 1:1 for getting at least a pair of jacks. Beyond that, the paytable varies according to your final hand, upward through the poker rankings from two pair, to three-of-a-kind, all the way to a royal flush, which earns the highest payout. However, each video poker machine has its own unique features, variations and payouts. Some video poker machines, for example, also pay out if you have a pair of tens. However, these same machines might pay out less than “Jacks or Better” machines when you hit a three-of-a-kind, or flush. Furthermore, some video poker machines incorporate wild cards, making five-of-a-kind hands possible; yet these hands are still not as rare as the natural royal flush, which will still have the highest payout. Before you begin your video poker session, it’s critical that you take a long look at your machine’s paytable, so you fully understand how to get the highest payouts. We’ve covered several casino games here, but of course there are plenty others. 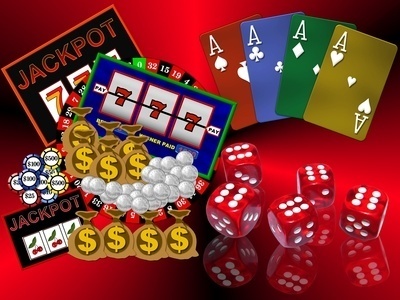 Some games, including the ones mentioned above, also incorporate progressive jackpots, which go beyond the paytables to offer you the potential of scoring 5-, 6-, and even 7-figure wins. What’s common to all casino games you play, however, is that each gives you a different, precise chance of winning. The more knowledgeable you are about those chances and game odds, the more enjoyment – and money – you’ll be able to squeeze out of your gameplay.